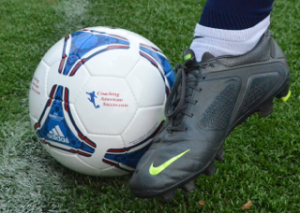 The instructional soccer manual is designed to provide an administrative structure for the program and all of the materials necessary for individual coaches and parents to conduct team instruction, including instructional youth soccer coaching drills and skills at the Pre-Kindergarten to U7 level. THIS DOCUMENT NOW HAS OVER 150 OF THE KIDS’ YOUTH SOCCER FUN GAMES IN ONE PLACE! ACKNOWLEDGEMENTS: CoachingAmericanSoccer.com® deeply appreciates WILLIAM R. IANDOLO and NEIL E. GILLESPIE for their ongoing assistance and support of this site. Further, CoachingAmericanSoccer.com® thanks JOHN T. WHITE, RUSSELL M. PUSATERI, and MICHAEL D. ASHLEY for their contributions.